Although this year's "American Idol" finalists have been very publicly making the talk-show rounds around the area this week, they still managed to pull off quite a surprise Wednesday. The Top 10 finalists made their New York debut Wednesday, entertaining the lunchtime crowd in Herald Square from a stage in the middle of a giant orange M&M. "It was different, definitely," said "American Idol" winner Lee DeWyze, who performed "The Boxer" with the other nine finalists backing him up and "Falling Slowly" with runner-up Crystal Bowersox. "A lot of people showed up for us and that made it all the better. 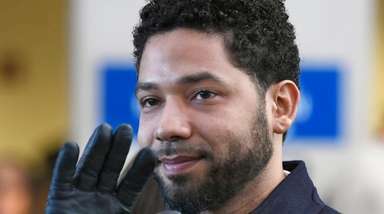 I'd do it again." 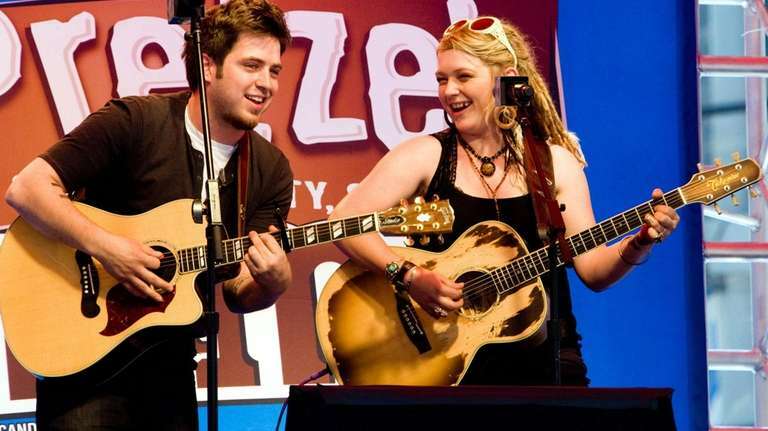 DeWyze and Bowersox will play a more conventional venue Thursday when they fill Rockefeller Plaza as part of the " 'Today' Summer Concert Series," and then start rehearsals for the "American Idols Live" tour, which stops at Nikon at Jones Beach Theater on July 7. Though the tour is their most immediate concern, both DeWyze and Bowersox are already thinking about their debut albums, which they will work on during the tour for release in the fall. "I definitely want to get into the studio and start working on lots of different things," said DeWyze, adding that he hopes it will combine rock, folk and alternative styles. "I just want to do something I can be proud of." Bowersox said she is looking forward to recording her own original songs. 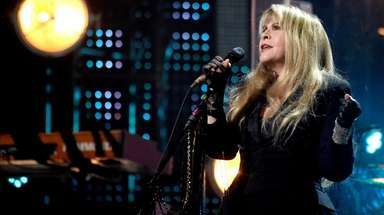 "I want to bring in some people who I respect and love their music for some collaborative work, cowriting and coproducing," she said. "I'm looking forward to the future." Bowersox is also looking forward to soaking up some New York atmosphere, since it's the first trip to the area for both her and DeWyze. "We need to get some of that pizza," she said.